For over thirty years, the Jacksonville Piano Competition has been a jazz fest tradition. Presented by Keyboard Connection, it continues to be one of the most exciting musical spectacles to be seen anywhere! Five finalists representing the very best jazz pianists in the world are chosen by a blind panel of judges to compete for a cash prize and a chance to perform on the Main Stage at this year’s festival. This fierce competition has become an integral part of the festival and a favorite among many eager to witness some of the most incredible rising talent in the jazz world. Past judges have included jazz legends such as Marcus Roberts, Brian Culbertson, Jason Miles, Joey Calderazzo, Lynne Arriale, Dr. John, Per Danielsson, John Thomas and other well-known jazz musicians. 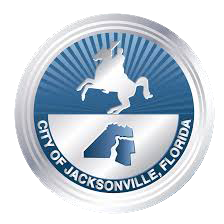 The Jacksonville Jazz Piano Competition is open to any age acoustic jazz pianist who does not currently have, or has not previously had a contract with a record label.